Paris is a very beautiful and classic city and the capital of France. Talk of exotic fashion, classic beauty and history; and France have got it. And we mustn’t forget food recipes; as they have some of the best in the world! Their choice of food is recognized across the entire globe. 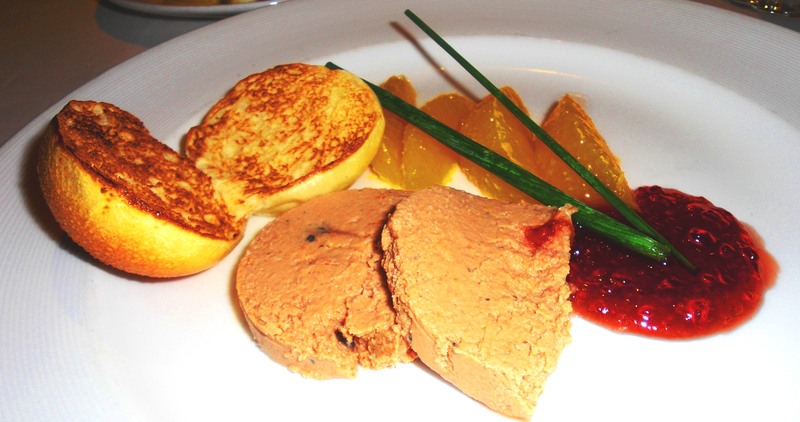 France is well known for its plethora of delicious food recipes. There is no mincing words about this. I am yet to see a country whose food recipes can be compared to that of France. French food is globally known for its flavor and their cuisine is awesome. I am not just saying this, but have been opportuned to have a piece of some of their unique food recipes. And then I feel in love with France and I just wished I didn’t have to leave the country. Food in France has become such an integral part of French culture that it was added to UNESCO‘s world list of intangible cultural heritage in 2010. From wine to cheese, the French people have always delivered in every aspect, so when I say their cuisine is mind blowing, you should believe me. I have complied 10 food recipes from France worth trying out and I know you enjoy them when you do try them out. Let’s get to it already. Cassoulet is a rich and delicious dish that consist of white beans stew and meat, often most chef use pork, goose, duck sausages or even mutton. 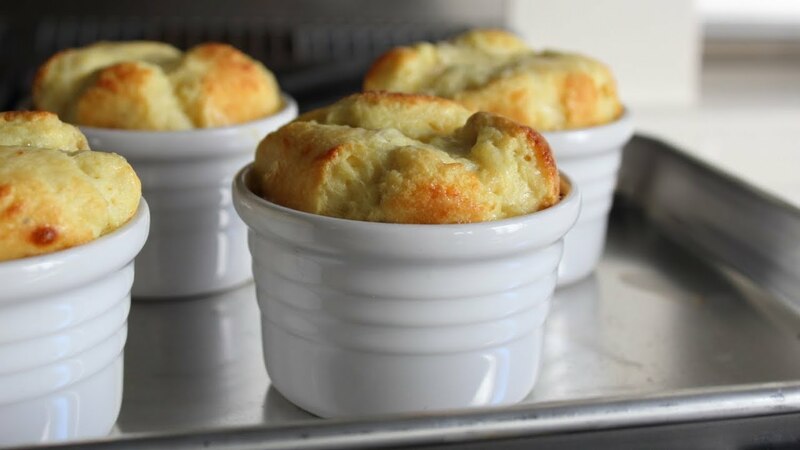 Originated from Southern France, the name of this dish comes from cassole that is the pot it is traditionally baked in. The pot is usually shaped into a cone so as to give the huge amount of tasty crust. For most people that love meat this dish is recommended for you and am sure you will like it. Cutting the meat isn’t quite difficult, all you need do is roll the pork in a Swiss roll, then use a sharp knife to cut the roll across into tiny slices, now chop the bacon into small pieces, cut the garlic sausage also. Soak the beans, afterwards drain the water, in a saucepan, add the pork you sliced and lardons, and then cover it with fresh cold water. Allow for 20 minutes and drain the beans, lardons and rind into a colander, then remove the cooking water. Chop onion, carrot and celery, also peel the garlic but don’t slice them yet. Now cut the tomato into eight wedges, preheat the oven to 120 C (mark 2, if you are using cooking gas). In a casserole pan, heat olive oil over a low heat and add carrot, onions, garlic, and celery and allow for 5 minutes. Now add the bouquet garni, tomatoes, allow to cook for 5 minutes. Then add the sausage, pork rind, bans and lardons and also pour 1.2 liters’ of water into it. As soon as it starts boiling, skim off the scum, and add salt, clove, pepper and lemon juice. Now, move the casserole to the oven, uncover, and cook for 2 hours. Stir it every hour, when it’s completed 2 hours, the beans will be soft and creamy, then cook for another 2 hours. Now take out the casserole from the oven, put the duck legs into the beans and sprinkle olive oil all over with garlic and breadcrumbs. Take back to the oven and cook for another 2 hours. Serve in bowl with chopped parsley sprinkled all over. Hailing from southeast French region of Provence, this dish is globally recognized for its unique taste. This French dish is a stewed vegetable that is served as a meal, side dish or stuffing for another dish like omelettes and crepes. There is always a debate about the way Ratatouille is being prepared among chefs, most of them do not agree with sautéing the vegetables together, and some say the vegetables should be cooked separately. Firstly, peel the eggplants and chop them into cubes, then move them to a strainer set and toss with a spoon of salt. Keep the eggplant aside. Slice the onion and chop the pepper, tomatoes and zucchinis into pieces. Add the garlic, since the vegetable will be cooked in batches, keep in a separate bowl. In a large pot, add a teaspoon of olive oil, add onions, and a pinch of salt. Mix until onion is soft. Now add pepper and continue cooking until pepper is soft too, move the onions and pepper into a bowl. In another pot, add a tablespoon of olive oil, a pinch of salt, zucchini, and allow the zucchini to soften for 5 minute. Pour into the bowl with onions and pepper. Rinse the eggplant and squeeze into cubes. 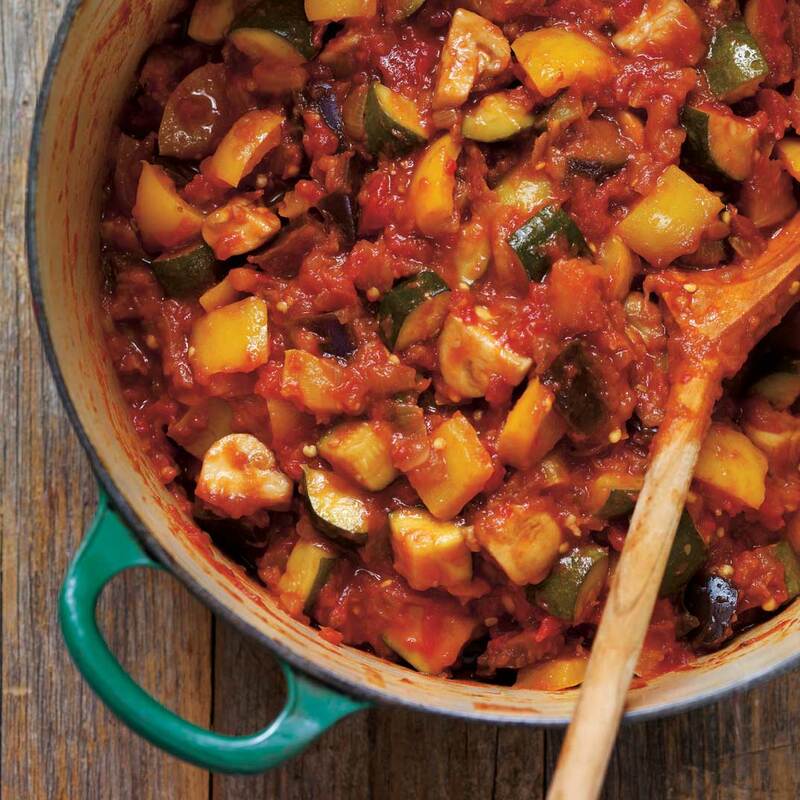 Warm oil in a pan and sauté the eggplant until its soft, pour into the bowl of vegetable. If you notice a glaze that is beginning to turn from brown to black, turn down the heat and pour ¼ cup of water or wine into the pan. Then pour the deglazing liquid into the same with vegetables. Warm a spoon of olive oil again and sauté the garlic for 1 minute, then add tomatoes, thyme and bay leaf. As the tomatoes is bubbling, scrape the glaze off the bottom of the pan. Now pour all the vegetable back into the pan and mix properly, then turn down the heat. Simmer for 20 minute or 1 hour. Now remove the bay leaf and the thyme, stir in the basil before taking the ratatouille off the heat, sprinkle the basil more and add little olive oil as you serve. You can refrigerate leftovers for a week or even months. This dish is internationally known. 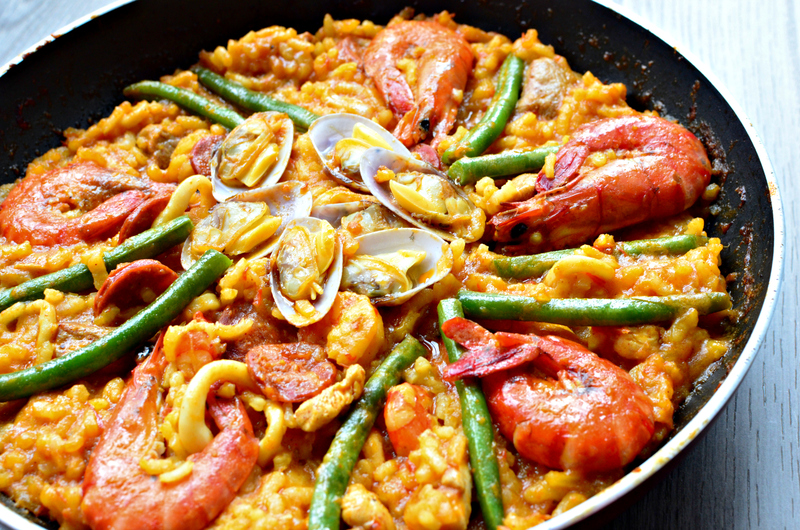 Some consider it as a national dish for Spain, while others think it’s a Valencia dish from where it actually originated. This dish mainly consists of rice and some ingredients that enriches the dish. The first thing you need to do is heat a paella pan with olive oil and add chopped onion and garlic, allow to cook for 5 minutes. Now add squid and stir for 3 minutes, then add chilli flaxes, half of parsley, paprika, squid ink and tomato paste then stir properly and add the rice and chicken stock, allow to cook for 20 minutes. Shake the pan but do not stir the rice, now add the extra parsley in a bowl and serve. 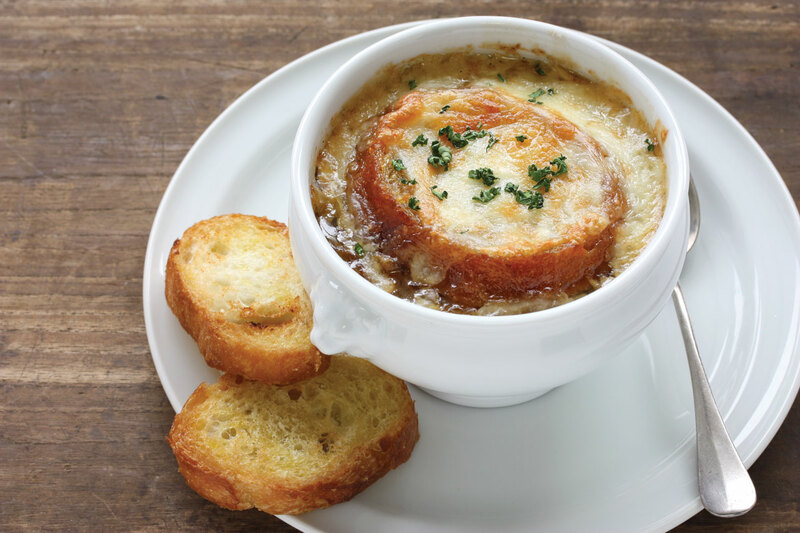 This traditional French soup is made of onions and beef stock. It is usually served with croutons and also melted cheese. The soup originated from Roma and it was a poor dish as at then since it was in the 18th century. From the sprinkling of onions that is actually where this awesome taste is from. The liquid used in preparing this dish is meat stock even though little water is added, and it can be thickened with milk, eggs or flour. First step, peel and slice the 700g onions, allow then to soften in a 40g butter and also a little olive oil on a low medium heat. Keep stirring until when it is soft, sweet and sticky. Now add a pinch of sugar so that the onions can caramelise. Add a couple of flour and cook for 4 minutes, then add 1.75 litres of boiling beef stock and also a glass of white wine. Then cover partially and allow to simmer for 45 minutes.
. Allow to bake in the oven for 20 minutes until the bread is toasted and also the cheese has melted. Until the onions is soften to crush that you can add the flour and stock. This recipe is a perfect one if you fancy complex and delicate French food. 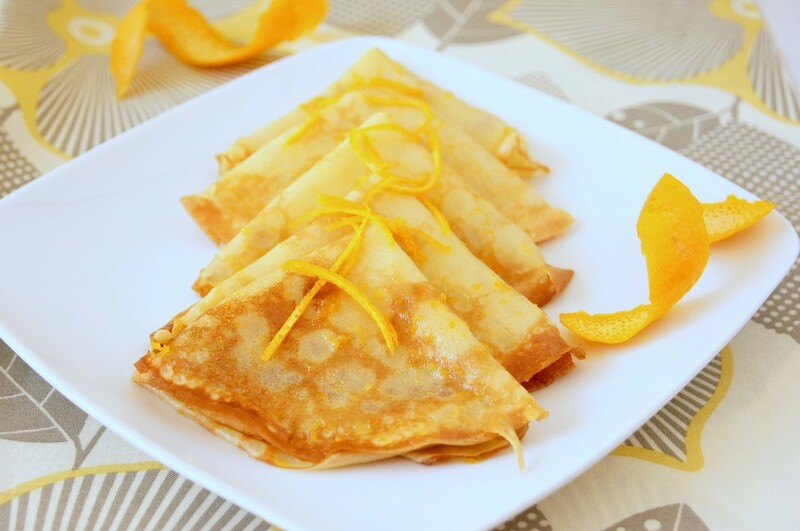 This dish is fluffy, silky, light and smooth, also it is made using orange juice, water and rind. Firstly you whisk the egg and flour together in a bowl, add cream and milk, whisk again. Now, pour into a bowl and refrigerate for 2 hours. To remove rind from the oranges, use a vegetable peeler and set. Press out the oranges and set aside. In a bowl, beat the butter and half cup of sugar for 2 minutes, add the rind and beat for a minute. Add 2 tablespoon of the juice, kirsch, orange flavour, beat properly for 2 minutes. Add 2 tablespoon of the Cointreau, kirsch and orange flower water and leave for 2 minutes. Heat a pan and add little butter then pour ¼ cup batter. Place the batter on a coat pan and cook for 1 minute. Then turn with a spatula for 30 minutes. 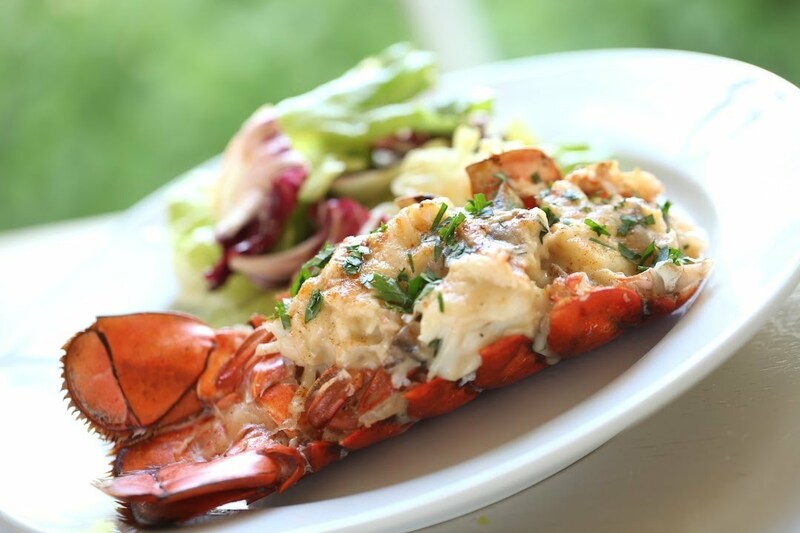 This dish has a lobster shell stuffed together with a creamy mixture of meat, egg yolk and brandy. This dish is actually the best French dish I have had and trust me when I say it a delicious dish. Split the lobster length-wise into 2 pieces and clean the top totally under cold running water. Scope all the meat from the lobster and clean. Keep the shell aside. Now slice the Lobster meat into another pan, sauté the garlic and onion, add the sliced mushrooms. After the mushroom has slightly dried out add the lobster meat and allow to de-glaze wit 30 minute with Cognac. In another pan, add the remainder of the Cognac to the cream and one fixings, grate the nutmeg and blend well. Add this mixture to the pan containing lobster and blend well, mix with the thyme properly. Remove the pan from the flame and mix well until it turns thick. Fill the cleansed empty shell of the lobster with this mixture that has been ready. Add the lobster with Gruyère cheese and parmesan cheese, then place in hot oven for 4 minutes. They say this French apple tarte was created by mistake in 1898 by Stephanie Tartin when she was attempting to form a standard pie, and then she accidentally left the apples in sugar and butter too for long within the pan. In a hurry to rescue the desert she placed the pastry base on high. She served the tart like that to her guests at Hôtel Tatin and also the result changed into the hotel’s signature dish. Although the tarte’s origin is controversial, the delicious result’s was not at all. Preheat your kitchen oven to 180°C/160°C/gas half-dozen. 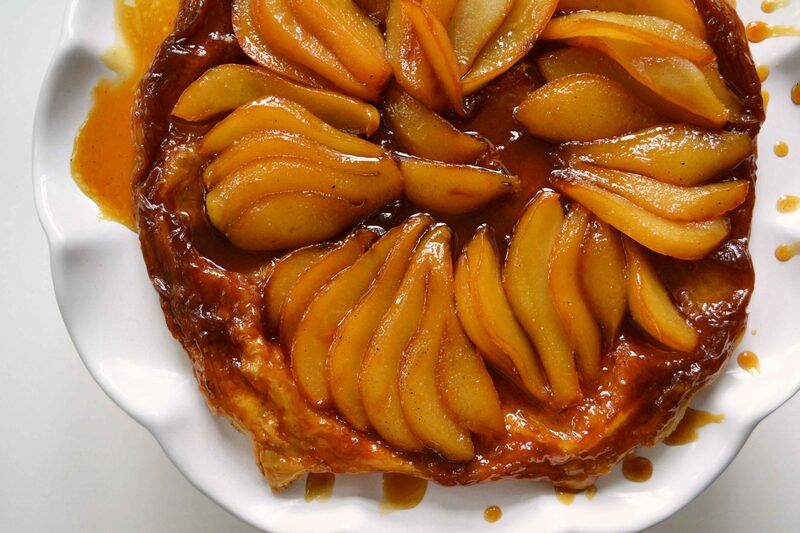 Put the tarte tatin dish on the hob, and over a medium heat cook the sugar and butter to a brown caramel. Now, arrange the apple around the edges with the top facing up and then fill the middle part of the mould, press with your hands gently to make sure there are not any gaps, and brush with liquefied butter. Cook on the preheated kitchen oven for half-hour. Cook on the kitchen oven for an extra 45 minutes till the puff pastry is golden brown and crisp. Finally, allow to cool down at 1 hour before de-moulding, apple-side up, on to the serving platter. This food is a mixture of fat and ground meat made into paste, the mixture alone will leave you salivating. It also has onions, paste of chicken liver and herbs combined together to prepare this delicious meal. Soften the onion and garlic in 25g butter for 5 minutes. Add herb and liver into the pan and sauté for 5 minutes. Remove the herb and puree the liver. Sieve through a wire filter. Roll out the bread slices with a kitchen utensil till flat. Remove 2 halves and bake in an exceedingly slow kitchen oven till crisp. Salade niçoise is referred to as a typical French dish from the French region, it can be served as a dish or a meal on its own. It’s generally a filling dish of lettuce, contemporary tomatoes, stewed eggs, canned tuna, inexperienced beans, Nicoise Cailletier olives and anchovies, although there are several variations and they exist everywhere. To make the marinade whisk with the wine vinegar, olive oil, parsley, chives, garlic, salt and pepper, place the tuna in a very shallow dish and pour over half the marinade. Allow to chill for 1-2 hours to permit the fish to infuse. Stir the marinade from time to time. Heat a ridged griddle pan on the hob or a hot barbecue for 5 minutes, remove the tuna from the marinade. Cook the tuna steaks for 2-3 minutes on all sides, counting on however small you wish your fish to be. Lay the lettuce leaves onto an outsized plate and add the lettuce, onion, tomatoes, potato, tuna, beans and anchovies. Drizzle over the remaining marinade, then end by adding the eggs, olives and ripped basil leaves. You cannot resist this dish because of its fluffy, cheesy and lightness. This dish is so perfect and easy to prepare only if you follow the steps accordingly. Make white sauce with the butter, flour, milk, 1 tablespoon salt, black pepper, and cheese. Beat the egg yolks slightly with a fork. Add a tablespoon of the sauce you made into it and beat slightly to mix well. Pour the remaining yolks into the sauce bit by bit, beating all the time, now add the parsley or celery and oregano and put aside. Beat the egg-whites stiff and pour into the cheese mixture, cut the light downward. Then pour the mixture into the soufflé dish. With a spoon, create a 2cm/1″ deep groove, 2cm/1″ far from the sting of the dish on top, and finally bake for 45 minutes to 1 hour, until puffy and golden brown. Serve at once.